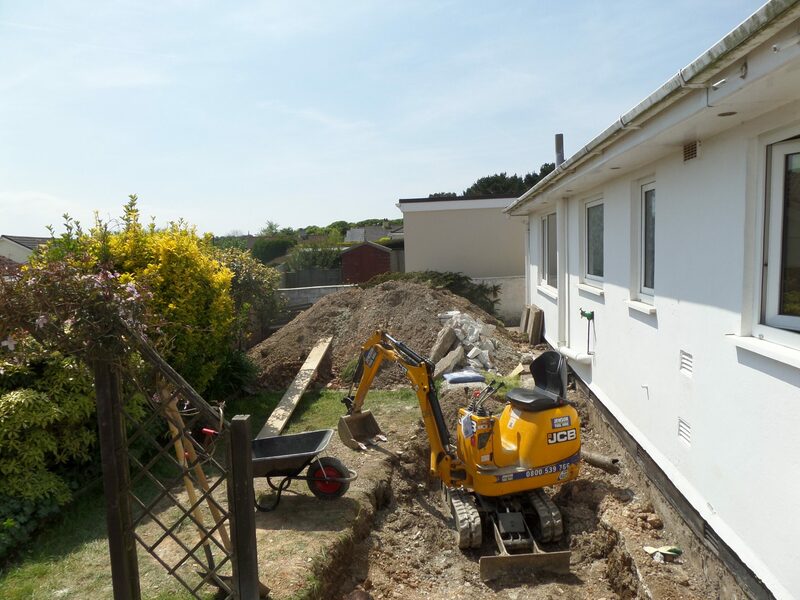 Mining investigations identified the location of a mine shaft in the rear garden of this property which extended under the rear wall of the bungalow. 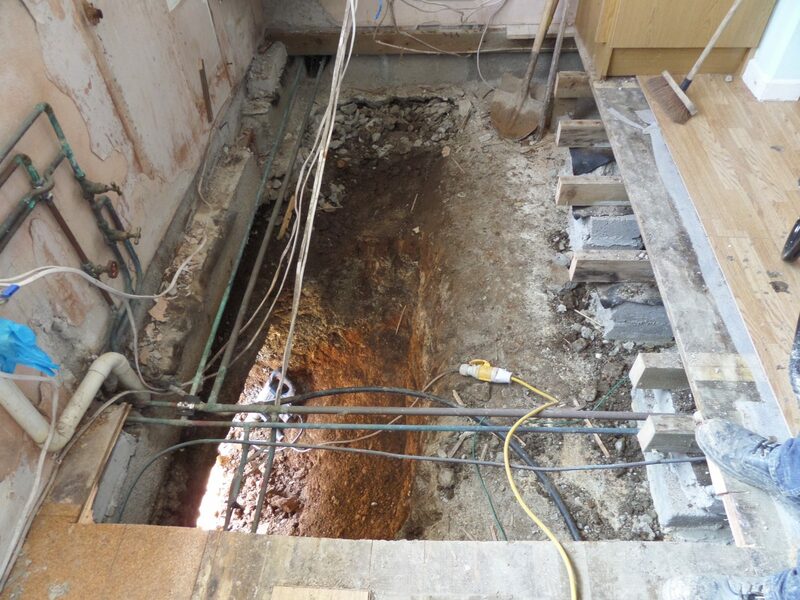 Naturally the owners were alarmed by this but we were able to reassure them as to the short-term stability of the building. 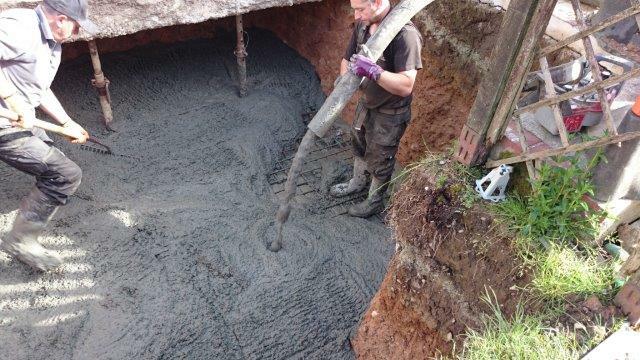 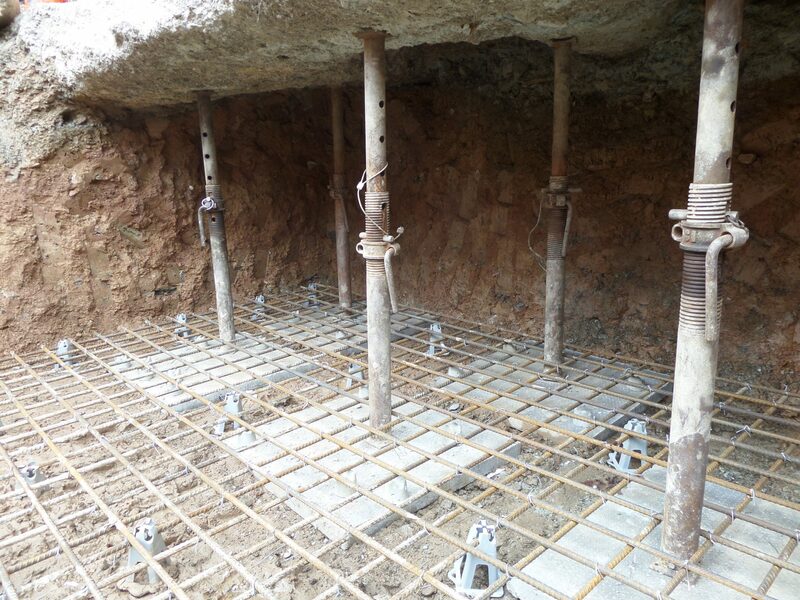 James Lockyer Associates designed a reinforced concrete slab to cap the mine shaft and support the foundation to the rear wall to ensure the long-term stability of the building. 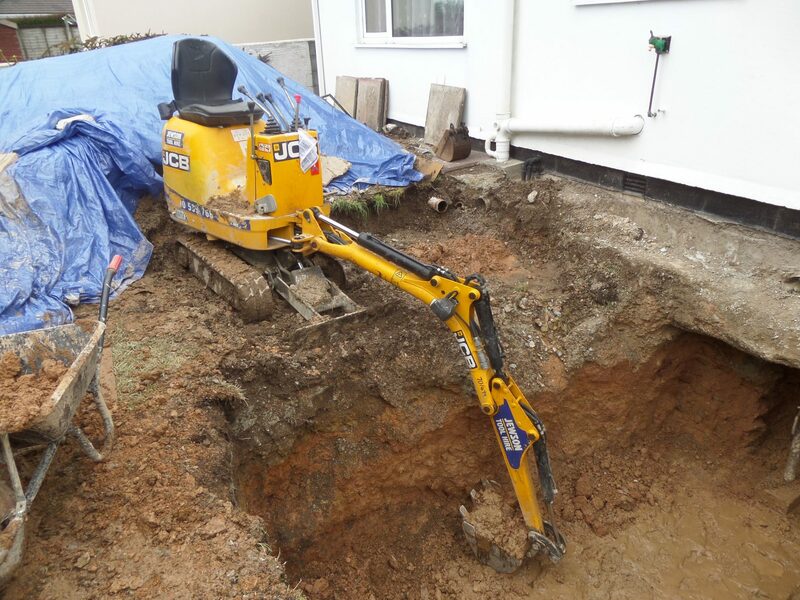 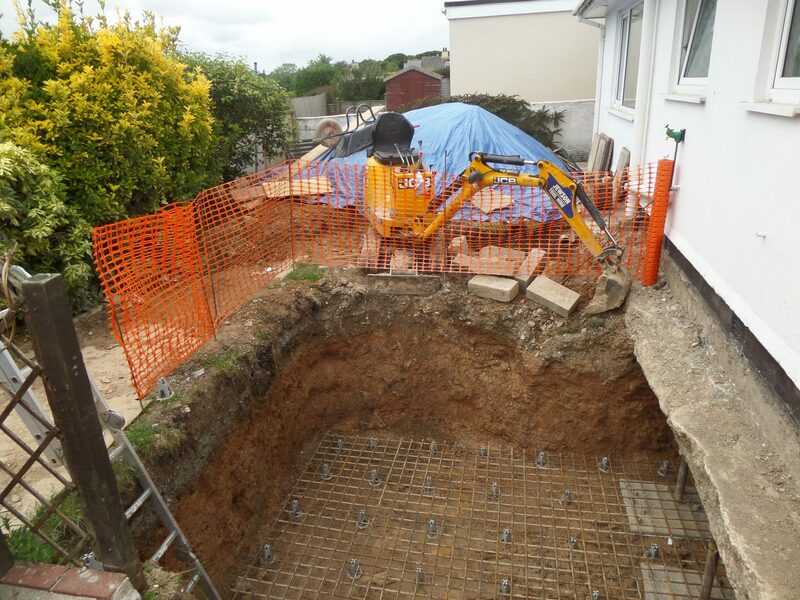 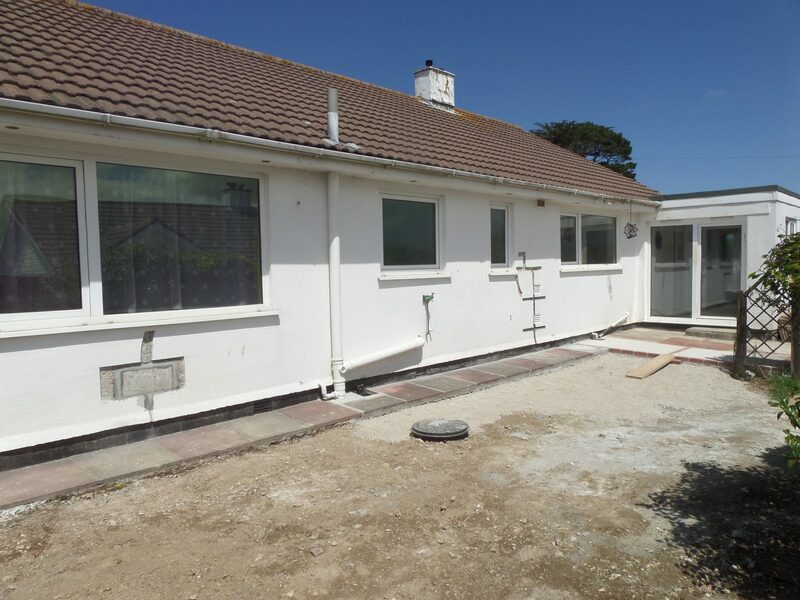 Excavations had to be carried out both externally in the garden and internally through the suspended timber floor which unfortunately coincided with the kitchen and bathroom and resulted in the owners moving into temporary accommodation while the works were carried out. 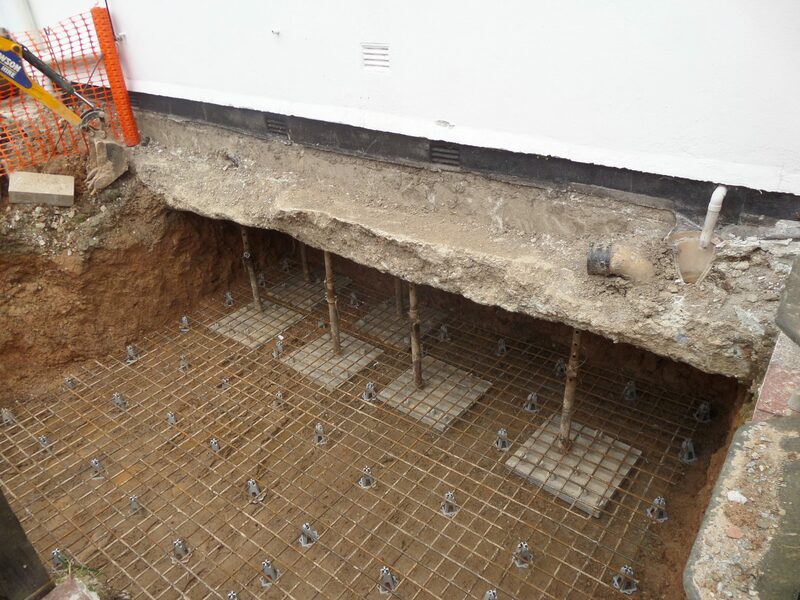 Foul drainage pipes also had to be altered.